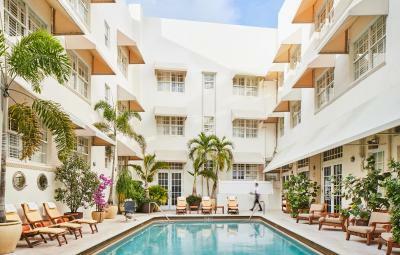 Lock in a great price for The Betsy Hotel, South Beach - rated 8.4 by recent guests. The breakfast was really delicious, everything was great, location, room, staff, cleanness. As far as I am concerned, its the only hotel worth staying at on the beach. Location, food, rooms are great. Very nice, clean and cosy hotel. Rooms are spacious with very comfortable bed. 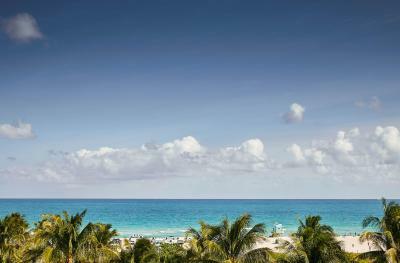 Hotel has perfect location, you can enjoy a day on private hotel beach. Highly recommended! Nice & refreshing property. Very nice staff, good drinks & food, very nicely decorated. Location and buzz. We had stayed before a few years ago so knew what we expected. Due to flight delays we arrived at about 2am, The night duty manager and night porter were very helpful. Close to the beach. Super central. Extraordinarily pretty Hotel. Very pet friendly. 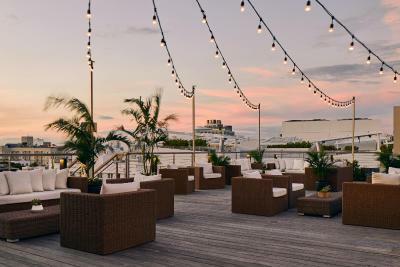 Betsy's rooftop Ocean Deck offers offers cocktails. 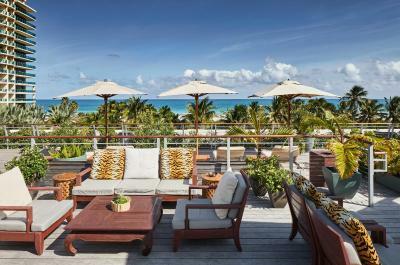 It features ocean views and rooftop pool with 360 degree views. The Wellness Garden provides spa services, massages and sunrise yoga. 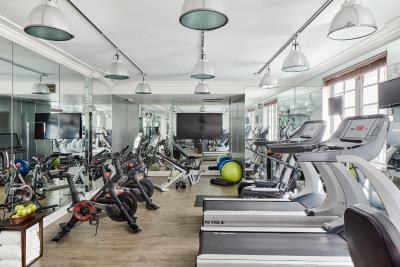 A fitness centre with Peloton bikes is also available on site. 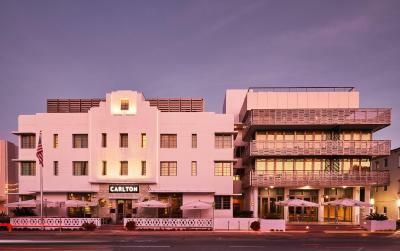 Private beach service, an on-property library, and Carlton Room Lounge are also part of The Betsy. 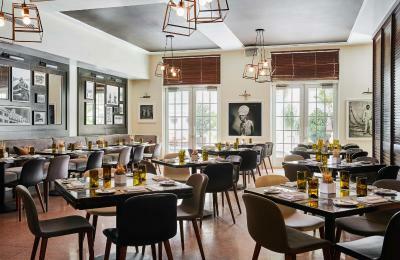 LT Steak & Seafood at The Betsy, South Beach is a contemporary American steakhouse located in the hotel’s lobby. 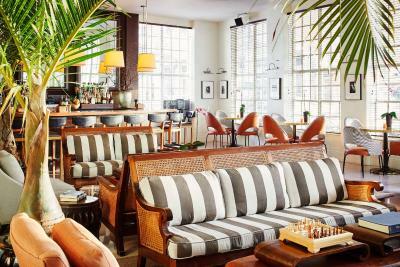 The Alley is an Italian restaurant that serves brick oven pizzas. 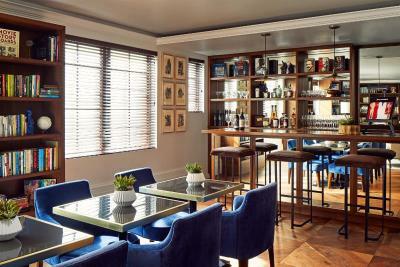 Guests can enjoy cocktails at the Lobby Bar. Coffee beverages are provided at the Panther Coffee Shop. The Lincoln Road Mall is 0.6 miles from The Betsy Hotel, South Beach. Miami Beach Convention Centre is also 0.6 miles from the property. 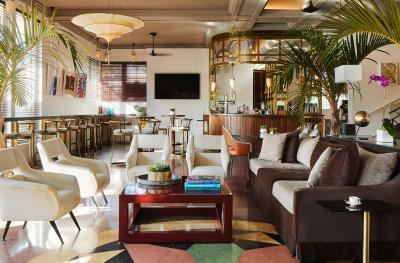 The Betsy Hotel, South Beach has been welcoming Booking.com guests since 2 Oct 2009. 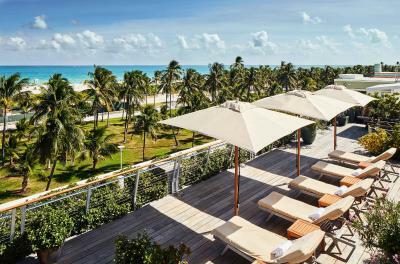 When would you like to stay at The Betsy Hotel, South Beach? This colonial style room includes a flat-screen TV and a minibar. Public parking is possible on site (reservation is not needed) and costs USD 45 per day. 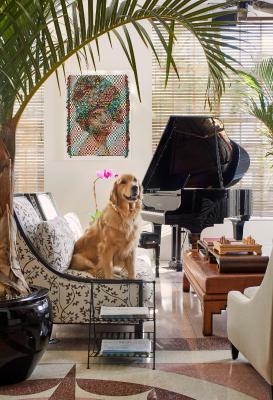 This suite features separate living and entertaining areas. This colonial style room includes a flat-screen TV and a minibar. Offers a view of the pool. 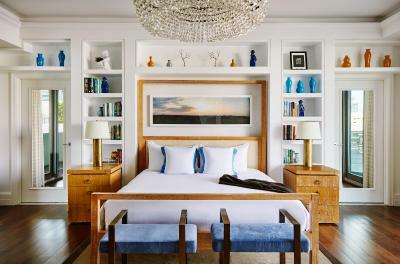 This colonial style room includes a flat-screen TV and a minibar. Offers a view of the ocean. 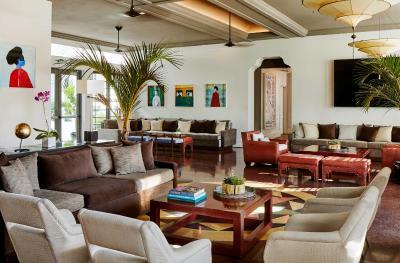 This room features separate living and entertaining areas along with views of the pool. This room has dark wooden floors and a 4-poster bed. It includes a marble bathroom with a TV and Malin & Goetz toiletries. 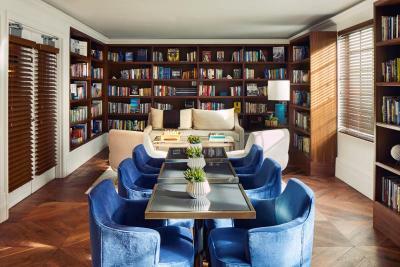 Suite features a separate seating area with a sofa bed. This double room features a balcony, cable TV and minibar. This suite features a balcony, iPod dock and view. 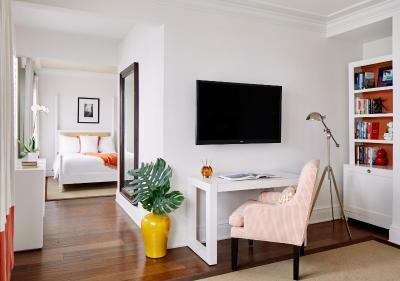 This suite features a cable TV, sea view and minibar. 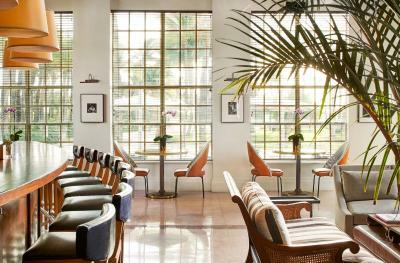 Reminiscent of a grand colonial estate, this historic landmark hotel perpetuates vintage glamour. 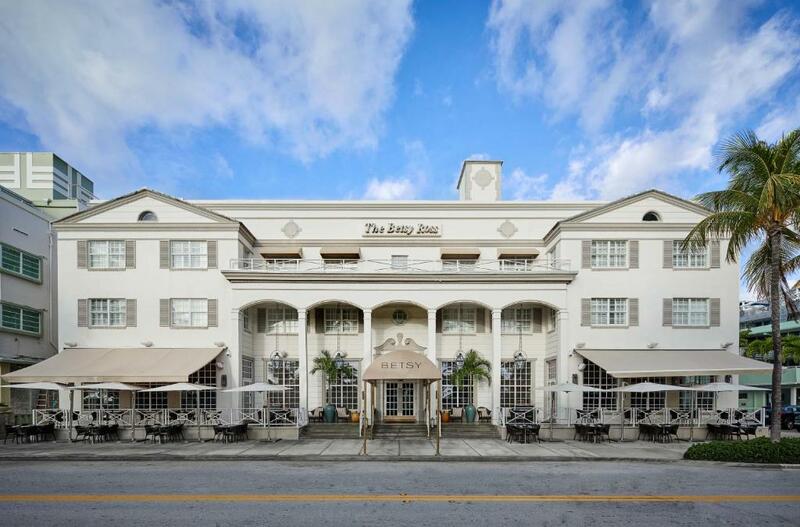 Located at the edge of the water with an Ocean Deck that peers three stories above the Atlantic, The Betsy is a historic Five Star boutique hotel. 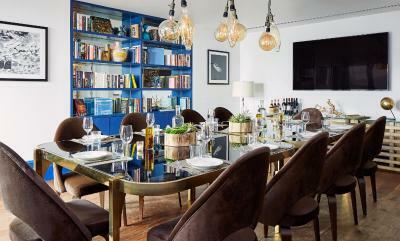 House rules The Betsy Hotel, South Beach takes special requests - add in the next step! 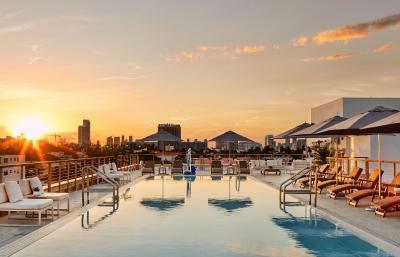 The Betsy Hotel, South Beach accepts these cards and reserves the right to temporarily hold an amount prior to arrival. Only thing that we didnt like, was that the service at breakfast was slow. Rooftop bar area is in need of a remake. Seems a bit of a dessert. Also wifi didnt seem to work esp well in the lobby (for bith my wife and I and on several devices). Should be fixed. It didn’t look like the pictures on the web. Restiarent so expensive for very average food. Nothing to criticize, really. Lobby was a bit small to accommodate the musicians but it was really great to have the music for all to enjoy. A charming historic hotel. Lovely room decor with special touches and lots of amenities. Staff were very friendly and helpful from the parking valets to the front desk to the cleaning staff. Top quality restaurant! Music in the lobby was great. Unfortunately - this is the only drawback - the noise level inside the room was unacceptable. Of course, there’s some noise coming from the street wherever you stay in south beach. But the sound isolation in between the rooms & the corridor is virtually non-existent, so you know exactly whatever your neighbor is doing in the bathroom in the middle of the night. Awesome place with an amazing vibe. We enjoyed it more on our last visit in the fall. Totally different on a spring break weekend and with a meeting friday at the hotel and a wedding. The wedding limited access to the roof top pool which we only found out about the day before after booking at prime prices. I had real difficulties with the restaurant reservation/table allocation people. They failed to register one reservation for dinner I made in person a few hours before the "booked time" and were singularly unhelpful and totally unapologetic for that. Fortunately when we eventually got a table the waiter was excellent. Breakfast was very expensive, especially when charging $7 for tea, one tea bag, and only providing hot water when requesting a refill. I noticed that a refill of coffee was made with coffee, not just hot water. Bedroom not serviced until late afternoon on second day. Since our previous stay the hotel had moved to looking to charge first and serve after. This place is pretty expensive, so I expect a lot. We had spotty internet (one night the internet was completely down), coffee was not included in our room (they made you go downstairs to buy your own) and there were hardly any "extras" included in our room fee. It was an expensive stay without added perks. Would not go here again given all the options available. The facilities are really nice and the location is pretty much ideal if you want to be in the action.